Control lead, often just referred to as cable, is a must for any DIY enthusiast! This cable is specially selected for computer applications. 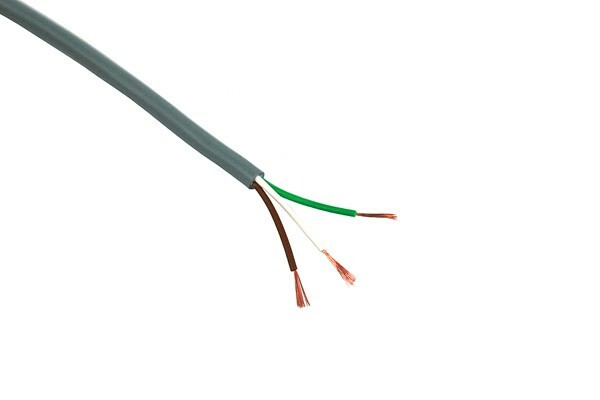 3 parallel and insulated strands protected by an additional thick layer of insulation make up this cable. One strand is coloured brwon, the other white, the third green. The compact diameter of only 3,5mm makes this cable easy to hide inside of the case for a clean cable managment. Especially when the system is installed in a large case these cables come in handy: They allow the assembly of adaptors and extensions of any desired length.